Internet Marketing | Give Your Customer What they Need! Website design is an important part of internet marketing, but it is just a part. How often, in website design circles, do you think a discussion with a client starts out with questions centered around how the website should “look” or “feel?” Probably, more than you may think. How often do you think that is the wrong place to start? What is your guess? My answer isn’t a guess, it is a statement that how the website “looks” and “feels” is ALWAYS the wrong place to start. Don’t get me wrong, you will need to get to those issues at some point, but it is certainly never the first issue. What do you want people to do once they are on your website? What calls to action do you need on your website? Once you have answered some of these basic questions, the design can fall into place around that. Remember, every element of your website should have a purpose. Making it easy for visitors to discover the information they are looking for in an easy to navigate, simple way is most important. It is what will convert visitors into leads and customers for your business which is, generally, the ultimate purpose of your site. The actual “design” as in the layout, colors and fonts on your website are the easiest part to put together. Your site should be aesthetically pleasing, but just make sure it does not distract from the information and calls to action that you present. Pretty, elegant and simple are good goals to reach for as far as looks. Just keep it simple. Think about your own experience with websites. Have you ever done business with someone you found online because of the font they used on their website? What about the background color or layout? Has that ever gotten you to pick up the phone? Most likely not. 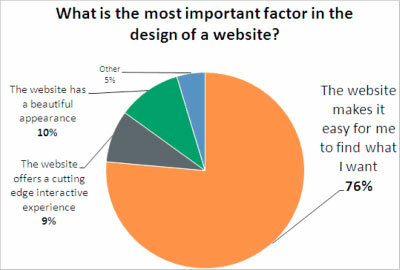 Those are just elements that should contribute to the overall goal of your website. Next post: New Orleans HUG is Having Its 1st Meetup!